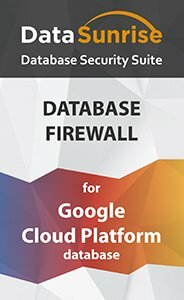 DataSunrise Database Firewall for Google SQL provides reliable protection against cyberattacks and malicious insider activity. Deployed as a proxy between database and users it controls all incoming queries and modifies or blocks them if they violate any security policy. There is an opportunity to block queries from certain applications, IP addresses or containing defined SQL statement. Google Cloud SQL is a great service to set up, maintain and manage your relational database, and as well as dedicated servers, databases on cloud platforms require additional tools for data security. DataSunrise Database Firewall protects a database from outside and inside threats, detecting malicious activity and blocking queries that can lead to a leak of sensitive data. DataSunrise works as an intermediary between users and a database. Firewall intercepts all incoming queries and compares them with parameters of security rules set by administrators. In case a query violates security policy, firewall automatically modifies or blocks it. There is a special filter for statements containing signs of SQL injection of different techniques (automated exploitation, Union exploitation, out of band exploitation, Boolean exploitation, time delay exploitation). Cases of triggered security rules are logged and can be checked in the Events section. Rule settings also allow administrators to add their email address in order to receive notifications of suspicious activities. Self-learning mode helps at initial stages of deployment. After the comprehensive analysis of SQL queries, firewall generated a list of SQL statements typical for certain environment. All the other queries are assumed to be potentially dangerous. Features of DataSunrise can be managed within a simple and user-friendly interface. In a proxy mode, it functions with minimal impact on database performance. Detailed logs help to detect security vulnerabilities and signs of upcoming hacker attacks. Customizable settings enable to establish access privileges according to various parameters: certain IP addresses, applications, database elements, signs of SQL injections (OR, UNION statements, double queries, comments, keyword in comments, constant expression). Our firewall protects the database from hacker attacks and unauthorized activity of company members. It is a valuable assistant in building a reliable data security system. Keep your Google SQL database safe with DataSunrise.